L.L.L4L.L.L. 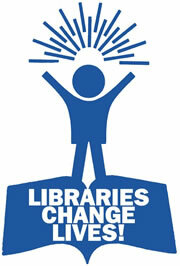 : Do you know any self-published authors of children's fantasy and sci-fi books? Do you know any self-published authors of children's fantasy and sci-fi books? Do you know any self-published authors of children's fantasy and sci-fi books? You may be one yourself! It can be very difficult for self-published authors to find publicity as they don't have a big publishing firm behind them. There is a graphics team which is preparing a website to bridge the gap between author, book and public, and is being touted as top-ranking in Google search engines. This team is also looking at the huge potential of the downlaodable book with the advent of the iPad. Amazon sells more of these than physical books. The new website is being launched in time for Christmas, and would certainly create world-wide interest in books presented there. Authors would still have the ability to sell their books elsewhere - the website would be another avenue for exposure of book and author to improve sales. I myself have no interest, pecuniary or otherwise, in this venture. I am a friend of Roslyn Motter, self-published author of The Doofuzz Dudes series, who mentioned this to me - she is already participating herself. Those of you who are familiar with her books will recall the marvellous new covers of her first 7 books - these were created by the same graphic artists involved in this website. 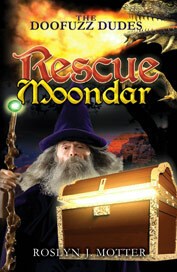 The first book in Roslyn's series, "The Doofuzz Dudes rescue Moondar", was shortlisted in the KOALA and YABBA Awards in 2009. The Doofuzz Dudes books are a "delightful children’s adventure book series" according to the Fremantle Herald. The Doofuzz Dudes Rescue Moondar is a cute little story that has all the elements to entertain seven to ten year old kids. It's a nice mixture of reality (bullies and coughs and getting wet in the rain) with the kind of fantasy children will get lost in. I noted something that will slip kids by, although it'll influence them: in this story, Toby always finds a way to use kindness to conquer enemies. This book is the start of a series. I can recommend it to every young reader. For more details please email Roslyn directly, and do feel free to pass this information to anyone you think would be interested.